It�s time for Facebook Travelista, a travel columnist which has covered Thailand�s tourism industry for more than 30 years, to introduce nine remarkable young bloods of Thailand�s tourism industry in 2016. (This is not ranking but it is Travelista�s coverage on these new generation executives.) Not only they have smart, attractive, unique and outstanding appearance but also distinguished capabilities and achievements in tourism sector. Jiraporn is Acting Director of Institute for Tourism Personnel Training, Office of the Permanent Secretary, Ministry of Tourism and Sports of Thailand which is a significant agency during the time that Thailand enters ASEAN Economic Community. The beautiful, confident, determined woman is in charge of public relations at the Ministry of Tourism and Sports. 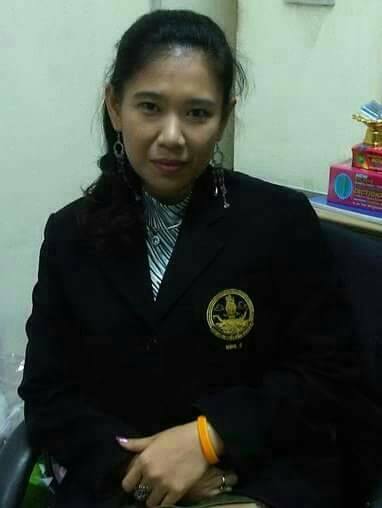 Her experience includes but not limited to professional English - Thai speaking MC of staged events organized at the ministry, and a national representative at several ASEAN as well as international conferences on development of human resources in tourism industry. As acting director of Institute for Tourism Personnel Training, she is designated to oversee a joint agreement on qualifications recognition for tourism professional and coordinate with other representatives from the ASEAN member states who have great respect for her. 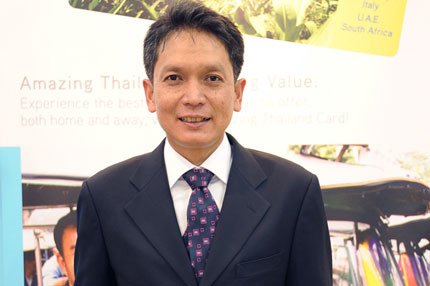 Janejit is Director of Tourism and Recreation Marketing at Krungthai Card Public Company (KTC). The woman who earned master�s degree with honors from New Zealand is now in charge of marketing activities for promoting card payment. She is also responsible for building loyalty for travel customers which could be worth up to ฿10 billion. She had experience working with several large, leading companies. Most of her family members are senior civil servants including her grandfather, Phaya Ladpli Thamprakal who is the former Minister of Justice and President of the Supreme Court. Her father is Prof. Roengtham Ladpli, the former General Director of Central Juvenile and Family Court. She joined KTC while the company was setting up travel and leisure marketing department. She helps promoting card payment for travel until it becomes an important revenue source of the business. In 2005 travel spending through KTC credit card accounted for only four percent when compared to the total spending. However, travel spending has increased to nine percent and currently ranks the second highest spending among all categories. Her contribution leads KTC to become the only credit card company that has maintained its relationship with several travel associations both in Thailand and overseas for 12 years with many concrete achievements. 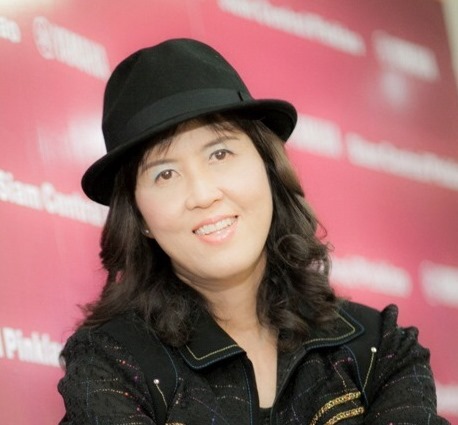 Supansa is a blogger of the famous �RinSa YoyoLive Travel Blogger� in Thailand. The pretty woman won Thailand Bloscars Travel Awards 2014 from the travel blog competition. She has also received Best Travel Blog and Best Design Blog Awards from BlogGang Popular competition three years consecutively between 2012 and 2014. After having reviewed tourist attractions for six years, Supansa now has the growing number of fans and followers. She loves traveling and sharing her experience in the manner of storyteller. Her writings and photos of the places she visits reflect her identity and intimacy. The female blogger hopes that her readers and fans of RinSa YoyoLive Travel Blogger page would benefit from her journals. Polkrit is Chief Executive Officer at Art Inspire Company and a host of Art Thomya Journey channel on YouTube who has numerous fans. His experience includes cofounding Google Thailand, completing his studies at a UK university and representing Thai youths in several cultural exchange programs arranged in Japan, Norway, Malaysia, Singapore, Vietnam, Brunei, Philippines, Indonesia and Korea. He is a new generation traveller and songwriter. Most of his songs were inspired by his journey. 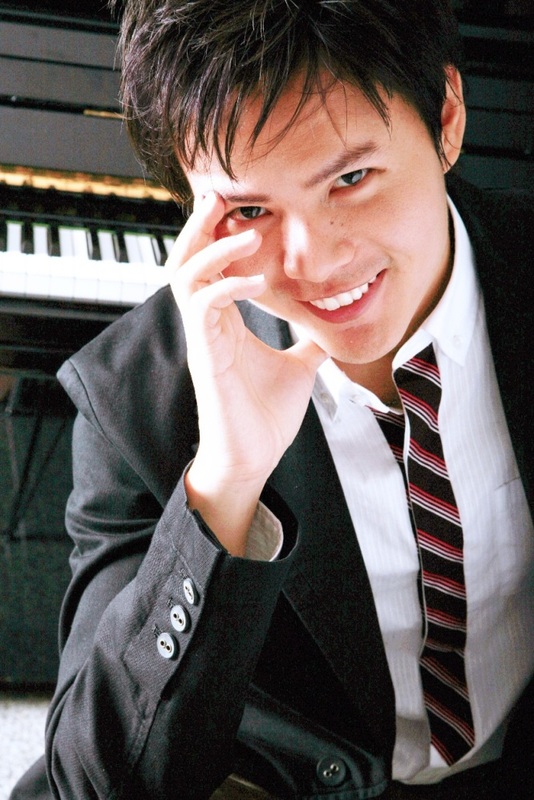 When he pursued his study in engineering at Chulalongkorn University, he won championship in singing contest. The charming man sings for several TV soaps, including a popular romantic song named �Hak Young Rak Kan� (If we still love each other) which is a soundtrack of �Rahas Torachon� starred by Araya A. Hargate and Theeradej Wongpuapan on channel 3. Additionally, he has composed four versions of song named �Miracle Thailand� for promoting Thailand�s domestically and internationally. He has recently created ASEAN channel on YouTube called �B Asean� to enable tourism of Thailand and ASEAN to be well-known worldwide. Thapanee is Executive Director of Product Promotion Department at Tourism Authority of Thailand (TAT). The beautiful, stylish, noble woman from an elite family is a young blood of TAT who was promoted to the executive position (9th class). Thapanee is enthusiastic and dedicated to all of her duties. This is reflected in her attempt to build points of sale for various tourism products. She is often invited to give lecture on information technology marketing. Thapanee has integrated social media with public relations by employing several social network platforms to publish news, announcements and promoted TAT efforts as well as provided link to the official website of Tourism Authority of Thailand: //www.tourismthailand.org. When compared to official tourism organization websites of other nations, TAT site is considered one of the best of its kind. The website is designed to engage different kinds of tourists with its well-organized sections and special applications. She is a remarkable woman whose twin sister has no less talent than her. Monthon who earned master�s degree of Literatura Española (Spanish literature) from Universidad Complutense de Madrid is fluent in English and Spanish. She is a popular blogger whose page �I Roam Alone� has more than 90,000 fans. She launched //www.iroamalone.com to give advice, share tips and experience as well as encourage women to travel alone. 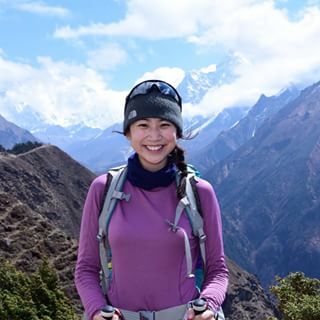 She is remembered as a backpacker who has visited 70 countries in seven continents. Monthon has a passion for nature, adventure, trekking, forest journey, diving and photographing. She initiated the �Khon Mai Au Than� (Low Carbon Tourism) project for Designated Areas for Sustainable Tourism Administration (Public Organization) or DASTA. Besides, the lovely and shapely woman also appears in commercials of Benice and Samsung. Siripakorn is Executive Director Information Technology Office of Tourism Authority of Thailand (TAT). The forward-thinking IT specialist assumes the position while TAT is focusing on online marketing through social media which accounts for 40 percent of all media channels. Apart from his bright look, he has experience being TAT�s executive director for London, the city which is the large market of Thailand�s tourism. In addition, Information Technology Office had invested a lot to improve the tourism website and unveiled it on November 1st, 2015. He added videos to the site, aiming to promote tourist attractions and designed travel plans in accordance with marketing campaigns. 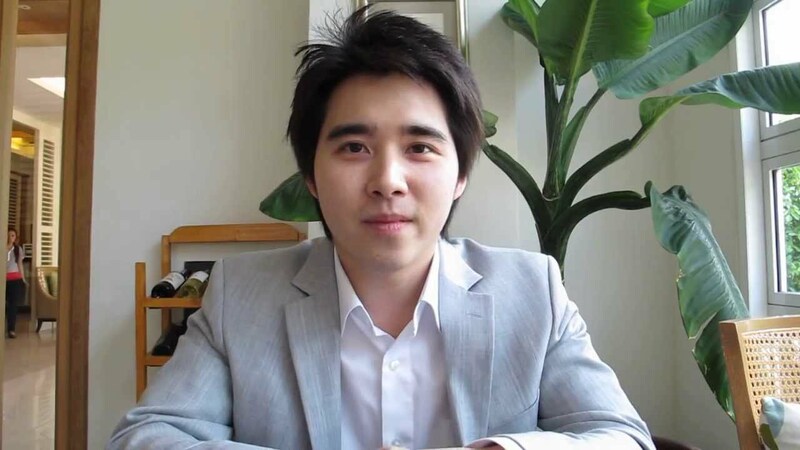 He leverages public relations to promote tourism to Thai and foreign tourists as well as increases the opportunities to exchange information between TAT and bloggers. The approach efficiently established Thailand�s reputation as the world�s tourist destination in the largest conference and networking event for travel bloggers known as �"TBEX Asia 2015." Chatchawan is Director of Marketing and Brand at Seranata Hotels and Resorts Group who devotes his full effort to take care of �Noom Sour Tours�, one of the most well-known tour operator business in Thailand which has been established for nearly 40 years by his father, Suparerk Soorangura. Chatchawan develops his business to be �one-stop-service� tourist agency which branches out into hotels and resorts, restaurants, vehicle rental, camping gear manufacturing and distribution as well as international education agency. The attractive man is responsible for 16 hotel brands within Seranata group, ranging from three-star to five-star hotels in nine locations. He also plans to expand his business to ASEAN member states while strengthening all of his hotels. He is so high potential that his father relies on him for business control. Wachira is Chief Executive Officer at Union Pan Exhibition CO., Ltd. which is a large trade show organizer of Thailand. In 2015 Union Pan organized several trade shows which are a mice business of tourism sector. Some of them could attract up to million visitors which is quite unprecedented number. She has expanded ordinary furniture fair to include tourism fairs, street markets, floating markets, supercar markets, and luxury expo in order to attract a lot of visitors. Not only she is beautiful, but also so talented that her father undoubtedly appoints her as CEO. She believes that her parents have expected her to carry on their business as the third-generation heiress. This is why she has been well-trained and prepared for this job since she was a young girl. Wachira is ready to apply international trade show concepts and strategies to Thai trade fairs. โดย: Kavanich96 วันที่: 6 กุมภาพันธ์ 2559 เวลา:1:50:57 น.